The students, parents and teachers of SriLankan School Muscat will take to the road on 31 July at 3.00 p.m. from Independence Square for a charity walk up to the Lady Ridgeway Hospital to raise proceeds for the ‘Little Hearts’ project of the Cardiac and Paediatric Unit of the Lady Ridgeway Hospital in Colombo. This initiative is being held under the blessing of Sri Lanka College of Paediatricians, the apex professional body of childcare in Sri Lanka, with the aim of building a new facility of the cardiac and critical care complex to provide timely treatments to all children in need. 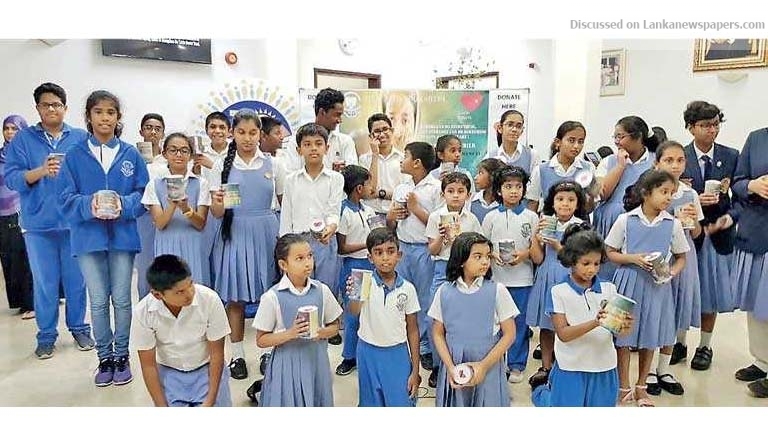 The charity walk is organised by the SriLankan School Muscat as part of their Corporate Social Responsibility moves to offer hope for kids at the Lady Ridgeway hospital in Colombo. This CSR project is being held as a precursor to the school’s 30th anniversary celebrations which are to be held on 12 February 2019. At the same time the school anticipates executing the project with the aim of cultivating a sense of obligation and responsibility among its students apart from their academic commitments. The school strongly believes in the golden principle that it is a must to produce academically qualified and down-to-earth individuals who can understand the hardships and necessities of their fellow countrymen and women and act accordingly towards the needs of their community when their country calls them for assistance. With all these in mind, people from all walks of life joined hands together, selflessly contributing to the project in numerous ways to make it a success. Apart from the large-scale fundraising ventures carried out by the parental community, students were instrumental in conducting a till campaign inside and outside the school to provide their support for this worthy cause. SriLankan School Muscat said it was pleased to be a stakeholder in such a noble venture. The school invites all interested parties to join the walk.